Become a member of the RD-Connect Community! Organisations and individuals from around the world can become members of RD-Connect to support rare disease research. Membership is free of charge and open to any individual, organisation or research group willing to adhere to the Constitution. Sign up and become a member of our Community. What is the RD-Connect Community? The RD-Connect Community is an independent, non-governmental, not-for-profit, international association of individuals and organizations sharing the vision of building an open community that works to improve rare disease research. The Community’s mission is to promote, facilitate and accelerate rare disease research by maximizing the availability and (re)use of rare disease data and biosamples through provision of infrastructure, tools and services to share, analyse and link datasets and biosamples in a secure and regulated way. By promoting data sharing and analysis tools and the data sharing ethos among rare disease researchers and clinicians and by raising awareness among patient communities and policy makers, the community aims to maximise the impact of the tools and services developed by RD-Connect members. By bringing together experts from diverse backgrounds, including clinicians, academics, geneticists, bioinformaticians, ethicists and patient representatives, the RD-Connect Community combines various approaches to support rare disease research. RD-Connect was established in November 2012 as a 6-year project financed by the European Commission under an FP7 grant. That multidisciplinary consortium developed an integrated platform of tools and resources to improve data analysis, sharing and linkage in rare disease research. 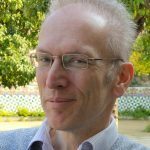 In May 2017, the consortium decided to continue its work beyond the end of the FP7 funding period (October 2018) as the RD-Connect Community. developing and promoting ethical, legal and societal guidelines, best practice standards and policies for rare disease data sharing, data stewardship and data analysis. Members are invited to participate in RD-Connect annual meetings and community events and to work together, share information about research projects, funding opportunities and other opportunities that might support the aims of RD-Connect. 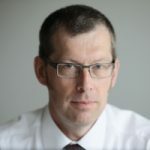 RD-Connect is founded on the principles of collaboration, multidisciplinarity, reciprocity, patient benefit and respect for privacy and autonomy. Members have freedom of scientific enquiry and receive appropriate recognition for their contribution to the field. Members are entitled to vote on the strategy and direction of the community’s activities. They can also vote on the Community’s Coordinator and well as candidate to become one. Membership of RD-Connect is open to organisations, research groups and individuals engaged in rare disease research anywhere in the world. This includes members from diverse backgrounds such as clinicians, academics, bioinformaticians, data scientists, ethicists, patient advocates and others. To apply for membership, please complete the membership application below. Membership applications will be approved by the Community Executive Committee. By accepting the RD-Connect Constitution, all members of RD-Connect commit themselves to adhering to and promoting the Mission, Vision and Guiding Principles of RD-Connect as defined in the Constitution. To create an open, inclusive structure for all interested parties, the founders of RD-Connect developed a Constitution for the RD-Connect Community, defining the governance structure and membership conditions. The RD-Connect Community is governed by the Community Executive Committee (CEC), composed of multidisciplinary members, including at least two patient representatives. The CEC is led by the Chair, Chair Elect and Past Chair, elected by voting every 2 years. 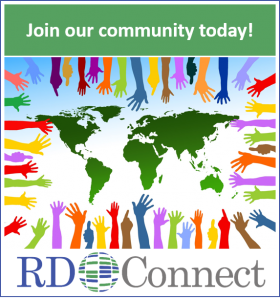 Register here to join the RD-Connect Community!